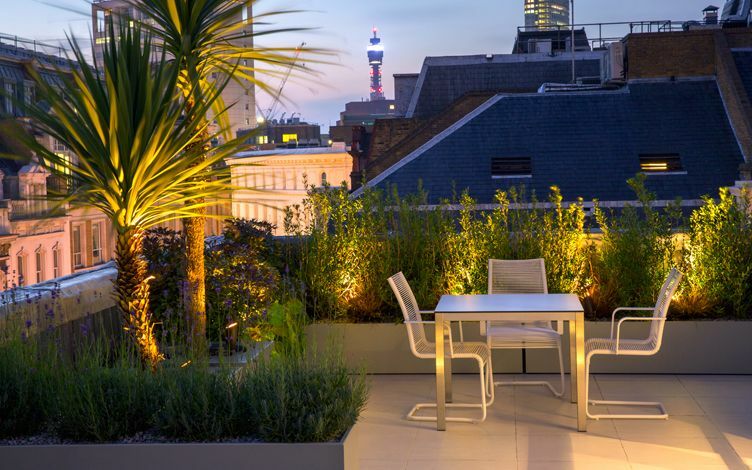 We strive to grasp metropolitan architecture and our clients' rooftop lifestyles to effectively coordinate the rebirth of a contemporary roof terrace garden in London. An inspiring layout ought to be of its time, yet a schema should last beyond its roof terrace landscape designer's ephemeral remit. How do we achieve this elusive premise? We design urban roof terraces as sustainable connections between the residence and its views, and when guests feel truly comfortable, immersed in a connective landscape, our goal's fully achieved. We therefore design with natural materials, timeless layouts and applicable floras, where enduring, reciprocal roof terrace ideas produce long-lasting essence. 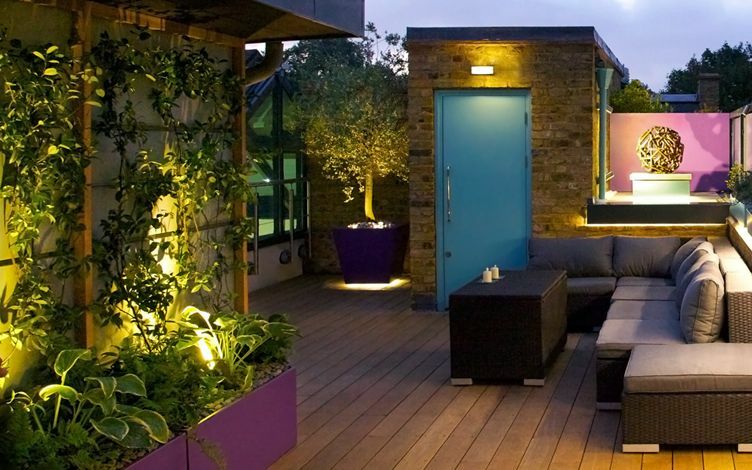 How do we solve a problem like a roof terrace planter? We start by designing a prototype, then manufacturing it! 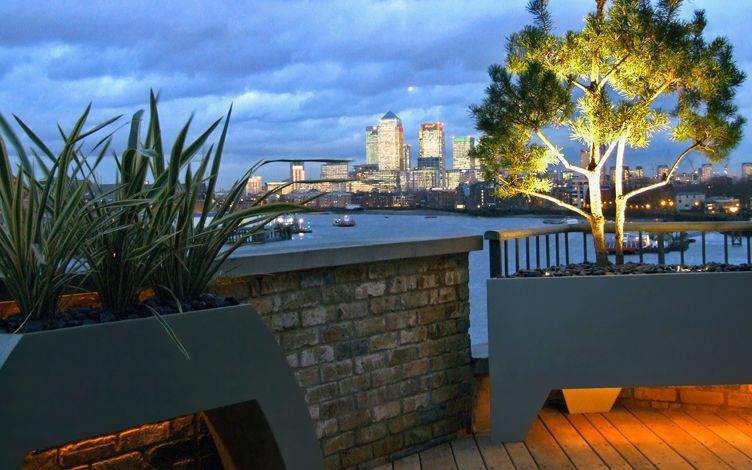 We exclusively produce every planter in our roof terrace landscape design & build projects. This self-reliant, versatile brainchild was driven by a rooftop scheme when visual clarity and site engineering aspects required interlinking fluently. 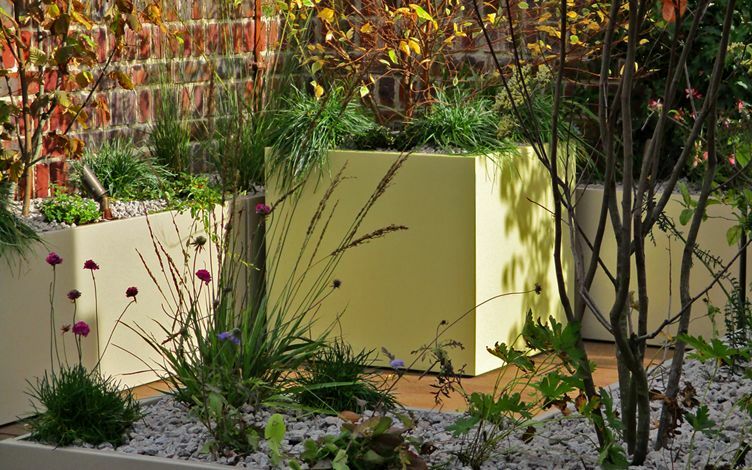 Since then, hundreds of distinct planter prototypes in dozens of blueprints, colours, finishes and outlines have been developed and continually evolve in new projects. 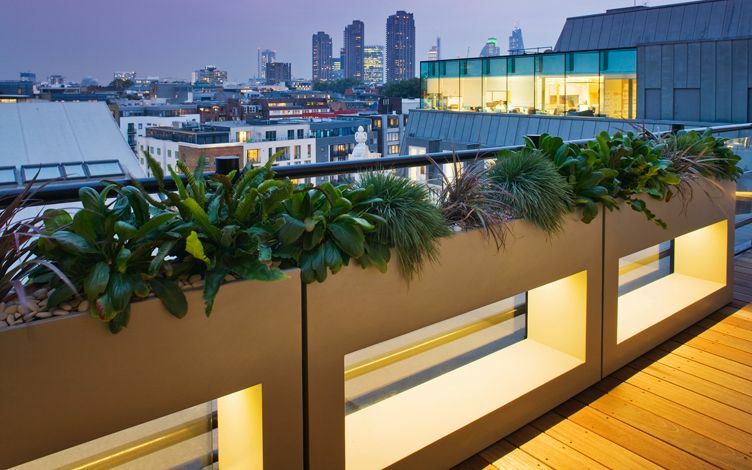 There's no better way to design a seamless connection to London's rooftop landscape than to tailor a personalised object of sculptural beauty for each client, and in doing so, we provide an adequate, efficient environment for plants to thrive. 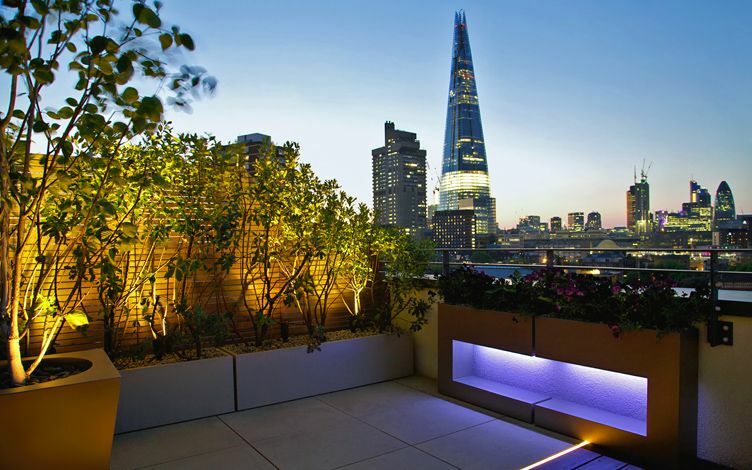 When a roof garden design stands out under a grey London skyline, it'll glisten when sunbeams re-emerge. As in every type of outdoor space, natural light is pivotal in accentuating the spatial qualities of a well-landscaped roof terrace. Therefore, we strive to generate high contrast between foliage and planter, surface and sky, outline and colour with balanced scale and texture. Subsequently, we integrate the London skyline into our roof terraces, creating landscapes which embrace their city surroundings. These urban terrace recollections, for us Londoners, often resurface in a cloudscape forming above a Thames quayside, or the nightscape at sundown across a dockside panorama, where each nuance evokes roof terrace inspiration. 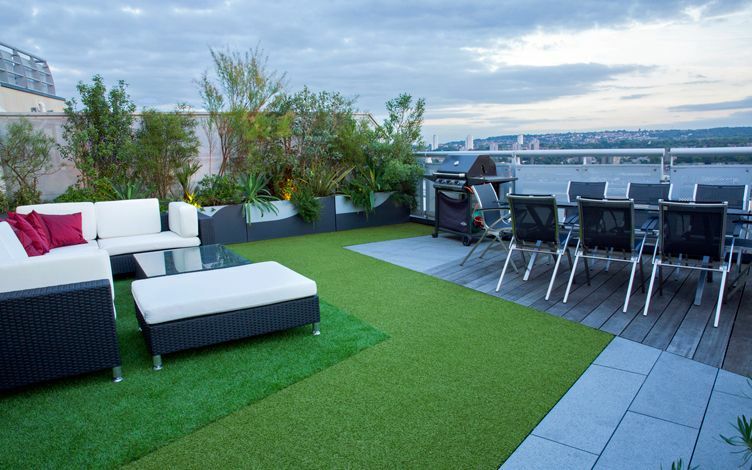 We consistently commence every roof terrace landscape design project by considering access feasibility, before we even put pen to paper to design a new roof terrace. 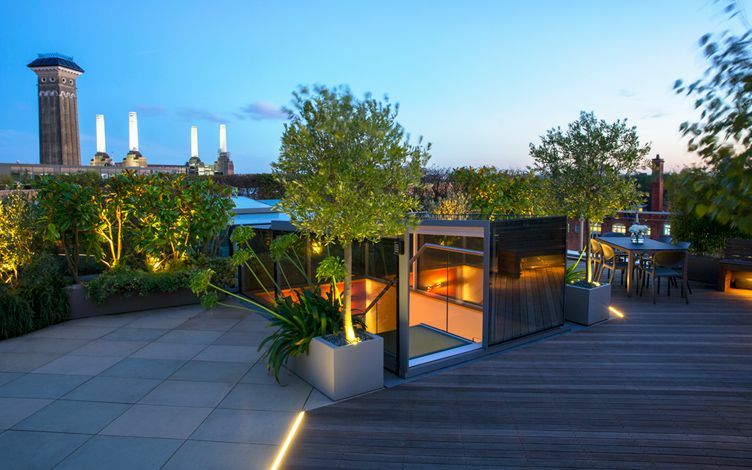 Unique sites inspire great roof terrace designs, yet limitations often evolve into advantages when certain aspects seem unfeasible. Some of our most inspired logistic eureka moments materialise through brainstorming with clients at a roof garden cul-de-sac. 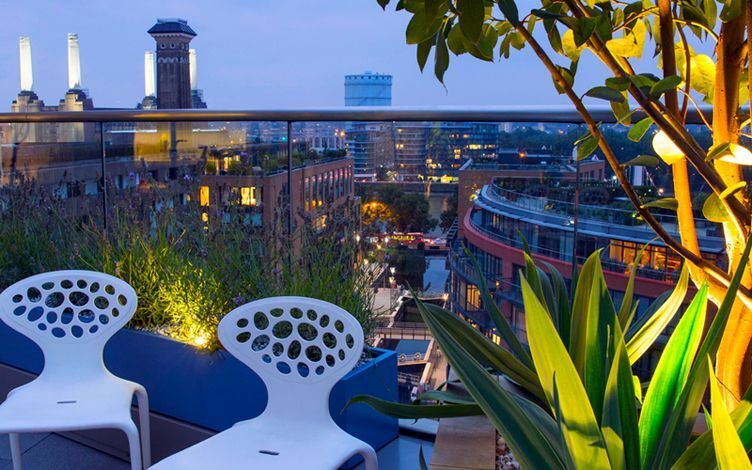 Designing and building London roof terraces carries responsibilities, not only to our diverse clientele, but also to neighbouring residences with shared vistas, the environment and a sustainable London landscape. That's why we love a challenge – a client-focused, site-specific roof terrace design & build challenge!